Avocado is known as one of the world’s “superfoods.” This little fruit, found in Mexico and parts of Central America. This fruit is also known as the Alligator Pear because of its deep green tone and reptilian-like skin. Avocados provide nearly 20 essential nutrients, including fiber, potassium, Vitamin E, B-vitamins, and folic acid. All of these healthy nutrients combine to offer a ton of benefits, and they also help to reduce the risk of a number of health concerns. Avocado contains lutein and zeaxanthin, which are carotenoids that are essential to the overall health of your eyes, as they help to protect your eyes from harmful light waves while decreasing your risk of eye disease. If you’re pregnant, try to stock up on avocados. Just one cup of avocado contains nearly 25% of your recommended dose of folate, which is essential for both you and your baby. It is found that extract of avocado seed and the fruit had a pro-apoptotic effect on leukemia cells. The extract caused the leukemia cells to self-destruct and left the normal cells healthy. The seeds also contain a phytochemical known as flavonol, which is a potent antioxidant that can reduce tumor growth. One cup of avocado contains 23% of your daily value of folate. Studies have shown that people with diets rich in folate have a lower risk of heart disease. Fiber helps prevent constipation, making one’s bowel movement easier to manage. Avocados are a great source of fiber. An avocado contains 13 grams of dietary fiber. The daily recommended dietary fiber intake for men and women are 38 grams and 25 grams, respectively. Avocados contain carotenoids such as zeaxanthin and lutein, which are associated with a reduced risk of cartilage defects (symptom of osteoarthritis). Intake of foods such as avocado and soy may help in reducing the risk of osteoarthritis. Avocados have a high content of magnesium, which is a mineral that is directly linked to improving the quality, duration, and tranquility of sleep. Avocados also help regulate the metabolism, in order to help reduce sleep disorders and the occurrence of insomnia. Avocados reducing liver damage as it has certain organic compounds that help in improving liver health. Liver damage is normally caused due to Hepatitis C. Findings of a recent research study suggest that avocados may play a major role in toning up and protecting your liver from a wide variety of conditions. Avocados’ high levels of potassium can help keep blood pressure under control. The American Heart Association reported that potassium helps regulate the effects of salt, which can increase your blood pressure. 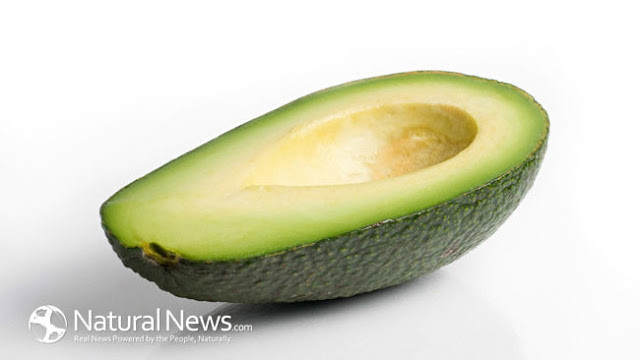 The monounsaturated fat in avocados has been found to reverse insulin resistance, while also slowing down digestion – two factors that are important to maintaining healthy blood sugar levels.